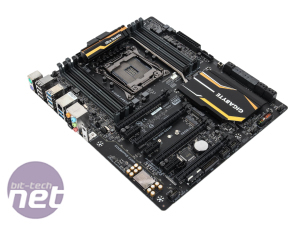 We've seen some cracking motherboards from Gigabyte's Ultra Durable range over the years and the company has a strong presence in the current line-up of X99 motherboards too. 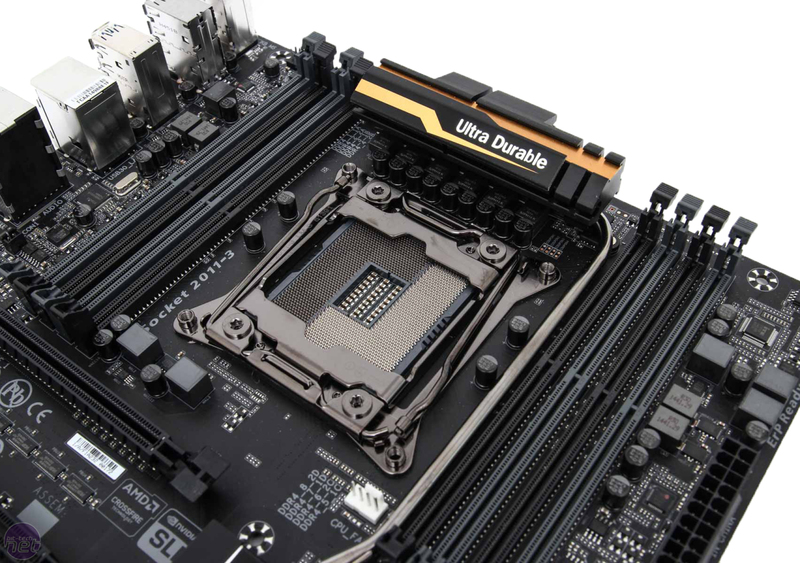 Its micro-ATX offering, the X99M-Gaming 5, has proved pretty popular with enthusiasts looking to build small and powerful systems too. 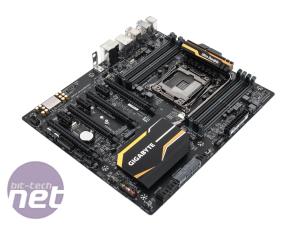 Today we're looking at the GA-X99-UD4P - a full size motherboard that costs a fair bit less than £200 making it a potentially interesting option if you're looking to build an X99 system on a budget. 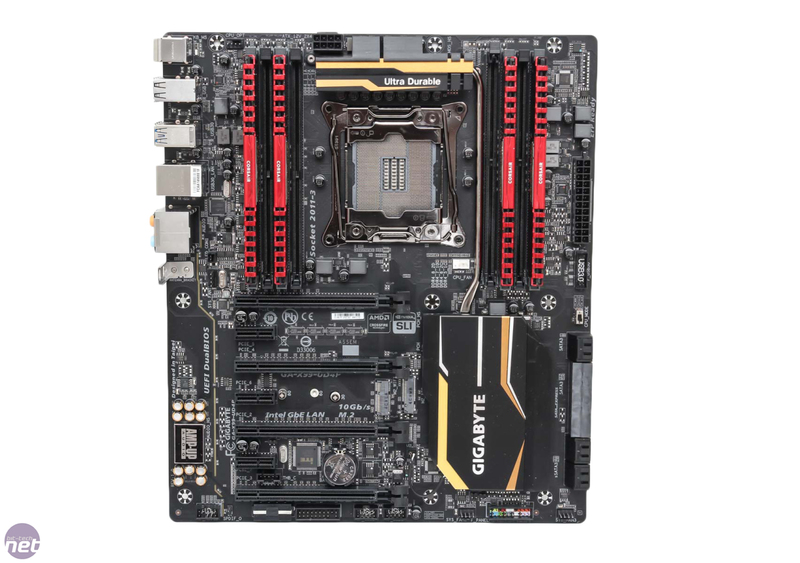 It has some tough competition, though, in the form of Gigabyte's own aformentioned and similarly-priced X99M-Gaming 5 and also from MSI's X99S MPower, which also retails for under £200. 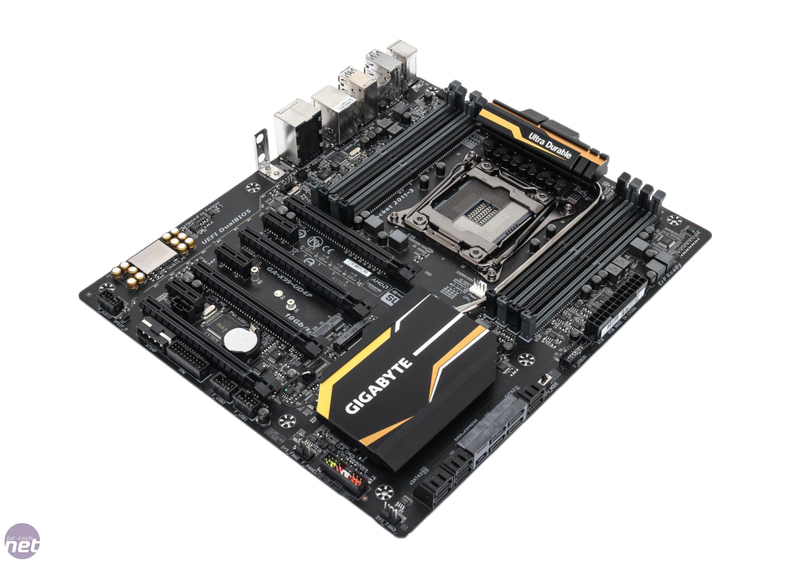 The obvious benefit over the micro-ATX motherboard is the fact the GA-X99-UD4P has four 16x PCI-E slots as well as a generous three 1x PCI-E slots for sound cards or other devices. In terms of graphics setups, using a 40-lane CPU (currently the Core i7-5960X and 5930K) will result in the first and third slots operating at full x16 speed in two-way setups, while 28-lane CPUs (currently the Core i7-5820K) will see that third slot drop to x8 speed. 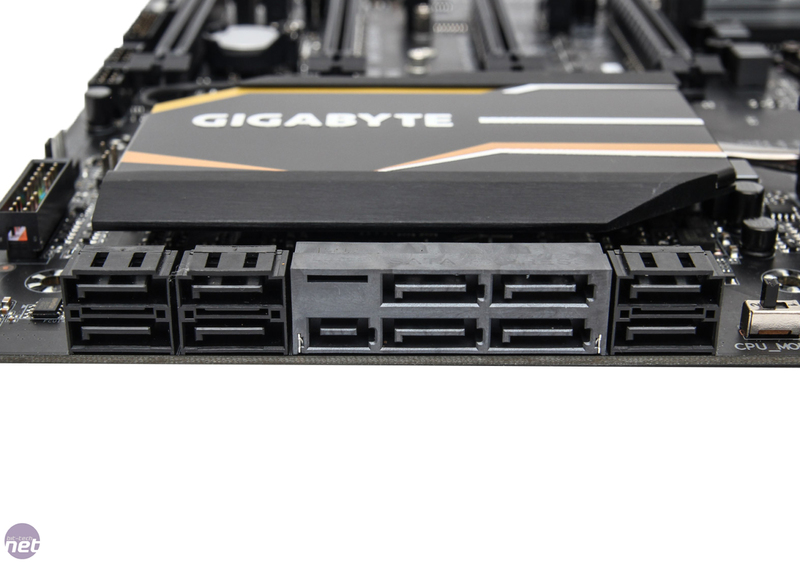 You'll notice we said third slot there - that's due to the fact that Gigabyte has usefully allowed the full speed slots to be double-spaced, so two-way setups sees several inches at least between dual slot graphics cards for better cooling. 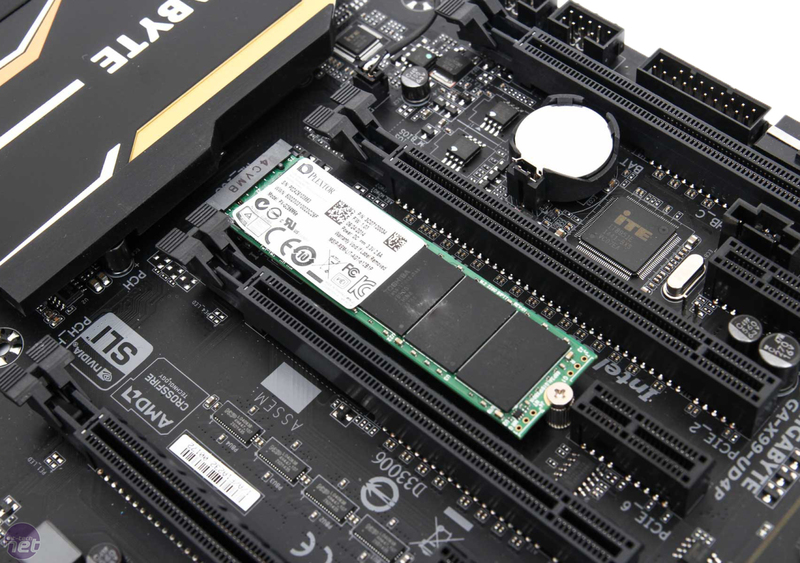 With a 40-lane CPU in the mix, dropping a third card in sees the first two cards run at full x16 speed, with the third at x8 (x16, x16, x8) while four-way craziness will see the third slot remain at x16 with the other three sitting at x8 (x8,x8,x16,x8). 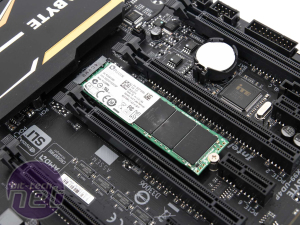 There are two M.2 ports - one is restricted to WiFi modules but the other supports up to 80mm-long SSDs. 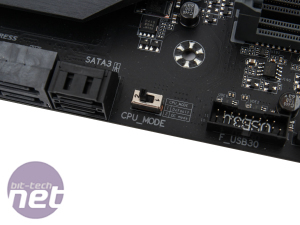 These are located between the second and third PCI-E slots and next to the second 1x PCI-E slot - in short, whatever hardware you install, you should be able to use these ports unhindered and you'll still be able to get at them if you opt for a two-way GPU setup as well. 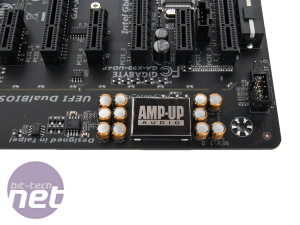 Layout is generally excellent with a good smattering of fan headers in the places you'd need them and all the usual ports and connectors located on the edge of the PCB. 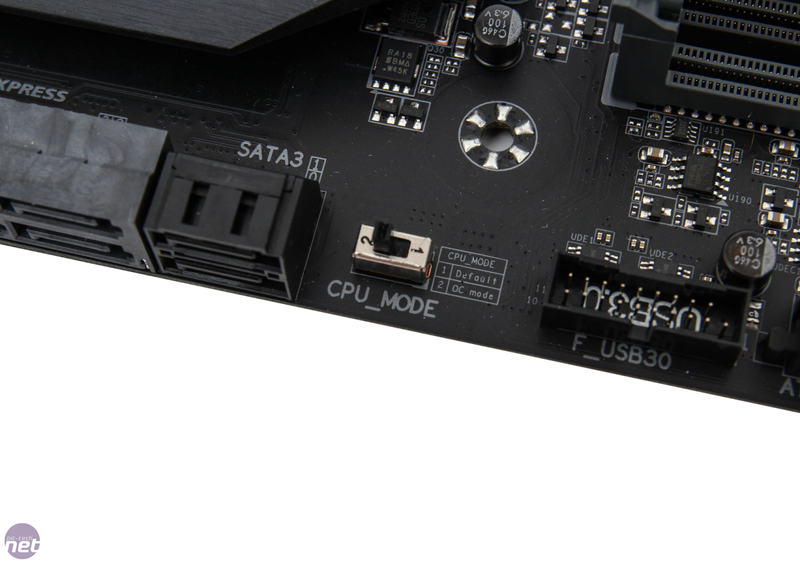 All the SATA ports are angled for easy cable routing. 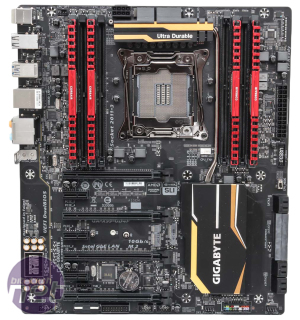 The comparatively low price has bitten into some aspects of the GA-X99-UD4P. 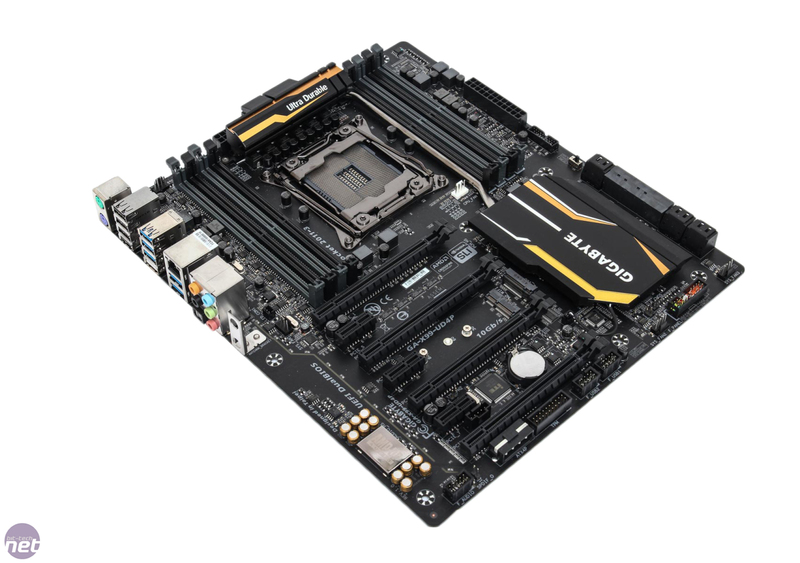 For instance, there are no overclocking tools such as power and reset buttons, LED POST code display or CMOS clear switch and certainly none of the fancy extras you'd see on more expensive motherboards either. 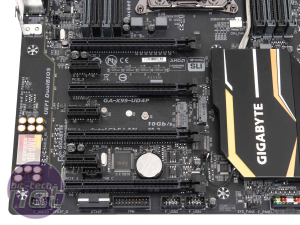 There's also no WiFi, although Gigabyte has included an aerial mount should you wish to plant one in one of the M.2 ports. 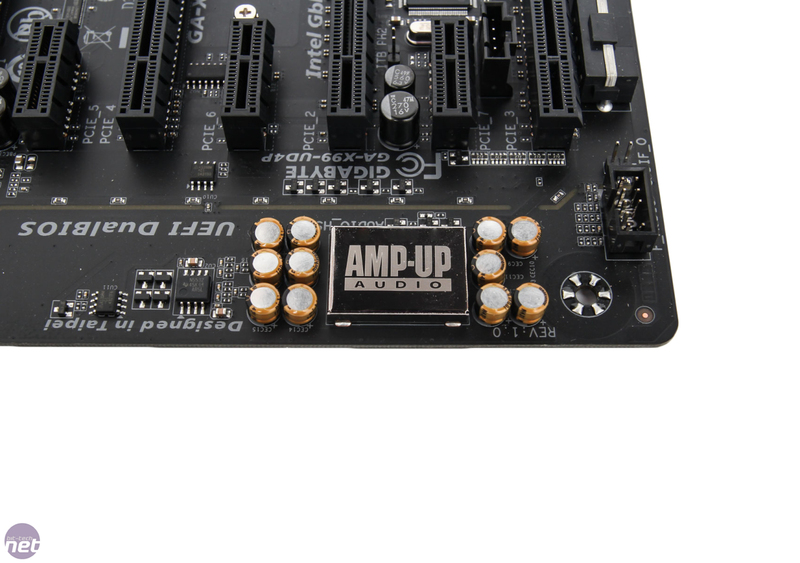 However, the GA-X99-UD4P does include a CPU mode switch, which taps into the additional CPU pins in much the same way as Asus's CPU Socket, allowing for potentially higher CPU and memory frequencies for extreme overclocking, uprated audio circuitry with an illuminated, noise-isolated PCB and heastsinks, plus server-level chokes, solid black capacitors and the usual Ultra Durable features such as Copper PCB design. 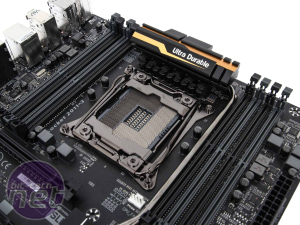 There's also Dual BIOS and also the ability to update the BIOS without needing a CPU to be installed, although this won't be an issue unless you happen to purchase a GA-X99-UD4P with an old BIOS when Broadwell-E is released. 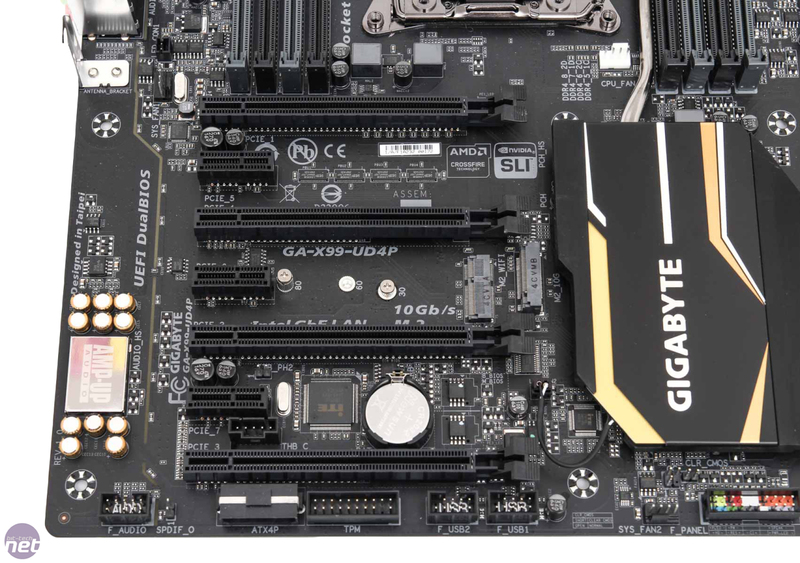 Finally, for an extra bit of pizazz, Gigabyte has also included customisable lighting, both on the PCB and back panel, which can be set to constant, sync with music, pulsing or off. It's a nice touch that bolsters the already attractive aesthetics. 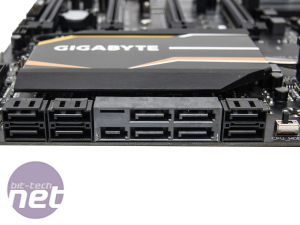 We suppose the next step here would be RGB and the ability to fine-tune the colours to your case and other hardware - how about it Gigabyte?